Bayonne resident and Chief Radio Engineer George White Rodgers had his hands full the morning of September 8, 1934. He was a radio operator on the passenger liner the Morro Castle and had been awakened shortly after 3:00 a.m. by one of his assistants, George Alanga. Alanga smelled smoke, so Rodgers took command of the radio room and sent Alanga to the bridge to find out if the captain wanted to transmit an SOS. Alanga returned to report that the bridge was in chaos. In addition to the fire, the crew was fighting a horrible storm, and the death of the ship’s original captain, Robert Wilmott, the previous day of a “heart attack and nervous stomach” meant the crew had been promoted into duties they weren’t entirely familiar with yet. Acting Captain Warms didn’t recognize Alanga, so he returned to the radio room in disgust. Rogers sent his assistant back through the smoke and flames to the bridge to try again: they couldn’t transmit the SOS without the captain’s approval. Through the smoke and unbearable heat filling the radio room, Rodgers heard other ships along the New Jersey coastline radioing the Coast Guard to ask if a ship was on fire because they could see the glow. Batteries which powered the receiver exploded, spilling sulfuric acid onto the floor. The transmitter was still functional, however, and Rodgers held his ground until Alanga returned with Warms’ okay. Rodgers began to transmit the SOS, and when a wire became disconnected from the generator which powered the transmitter, he calmly felt his way across the room through the smoke and, ignoring his blistering hands, reattached it and continued transmitting: a model of calmness and devotion to duty. Unfortunately, a half-hour was wasted waiting for the order to transmit, which proved deadly. 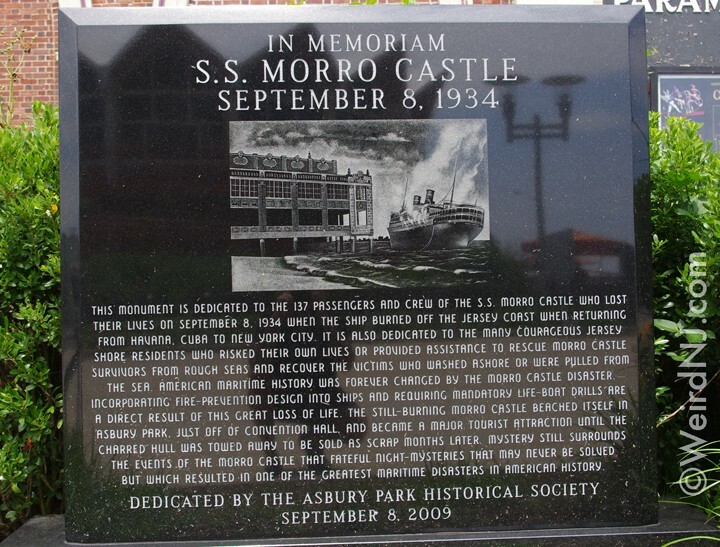 But the delayed SOS was not the only contribution to the Morro Castle’s fate. There were other communication delays, the crew wasn’t familiar with fire-fighting equipment, and Acting Captain Warms, thinking the fire was under control, sped the liner along and fanned the flames into a worse conflagration. Neither the passengers nor the crew underwent safety drills, and frequent crew turnover and poor pay ensured they were not loyal to the officers or the line. When it was obvious the Morro Castle was beyond saving, these crew members were the first to leave passengers to fend for themselves, escaping in under-filled lifeboats. It was a disaster, and by the time ships in the area arrived to help, it was too late for many passengers, some of whom had jumped into the freezing waters of the Atlantic. And then there was the recently deceased Captain Robert Wilmott. He’d been captain of the Morro Castle since it first started voyaging from New York to Havana, Cuba in 1930, and was known to be outgoing and gregarious. Some crew members noticed his personality had changed in recent months and he grew more hostile and suspicious during this last trip. He confided in some of his officers that someone was out to murder him and damage or destroy the ship. He never specified who, but he told them he suspected that Assistant Radio Engineer George Alanga was “a dangerous radical.” Alanga had tried to organize a strike for better working conditions on an earlier voyage and earned the undying hatred of Wilmott and the Ward Line, and he’d already been told that he’d be dismissed when the liner returned to New York. In fact, Wilmott had spoken to George White Rodgers about Alanga, who didn’t defend his assistant and actually said he’d found two vials of what he thought were ingredients for a “stink bomb” in Alanga’s locker. Inexplicably, Rodgers threw the vials overboard instead of keeping them as evidence. Despite this, Captain Wilmott chose to accept his story because he needed an ally who was close to Alanga. Wilmott also had his suspicions about George White Rodgers, as did many crew members. There were times Rogers could be a bundle of energy, and other times when he would nod off in mid-conversation. His rotund, flabby body and extremely pale face did not portray a seaman, and he had no friends on the crew. In fact, no one really knew much at all about the man, except that he exuded an air of discomfort to those around him. Despite these concerns, Rodgers and Alanga were among the fourteen crew members who stayed on board the Morro Castle until the remaining passengers could be rescued: in the end, eighty-six passengers and forty-nine crew members died. 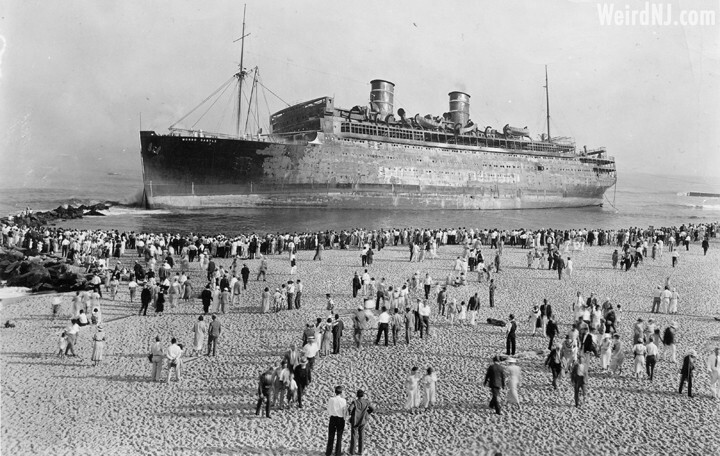 The Morro Castle itself would drift northward along the Jersey shore before running aground later on September 8th, just hundreds of feet from Convention Hall in Asbury. 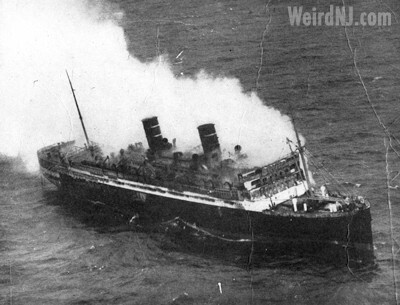 What was the cause of the Morro Castle fire and who was responsible? Was Captain Wilmott’s death an accident or murder? Investigators spent months trying to answer these questions. Wilmott’s body was destroyed by the fire, preventing serious investigation regarding his death. Testimony concerning the fire at hearings held by the State of New York and the US Government pointed to arson. George Alanga was held in custody as a material witness but released due to a lack of evidence. George White Rodgers would initially emerge as a national icon due to both the reports of his courageous actions on board and his willingness to promote them in numerous interviews with both radio and newspaper reporters. He even appeared on Broadway to tell his story. But in later years, he emerged as a suspect. Born in 1901, Rodgers had a criminal record dating back to the age of thirteen. At sixteen, he became a radio operator in order to gain release from a juvenile detention home, and in 1923 he worked for a New York radio station as a technician but was fired after stealing some equipment. For the next six years Rodgers struggled, eventually settling in nearby Bayonne. 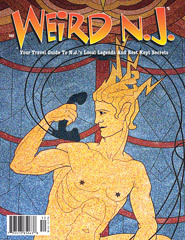 In 1929, he was employed by the Wireless Egert Company in New York when a mysterious fire broke out. He was a suspect in the case but there was no proof of arson. He then became employed by the Radiomarine Corporation (later RCA), which had no idea of his record, and neither did the Ward Line which agreed to have him serve on the Morro Castle. He may have appeared odd, but there was nothing to show he was insane. The proof of his insanity would have to wait. Rogers left the Ward Line after the Morro Castle disaster. He opened a radio repair shop in 1935 in Bayonne but had a difficult time making it a success. One day it caught fire under suspicious circumstances. The Bayonne Police Department investigated the fire as arson but could not prove it. 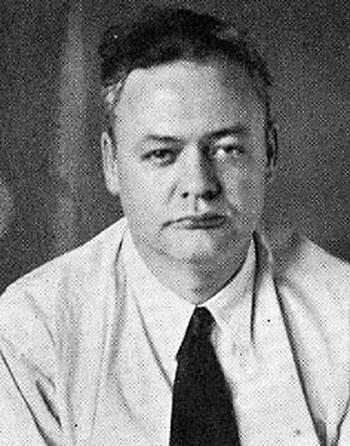 In 1936, despite his previous criminal record and the recent arson investigation, Rodgers joined the Bayonne Police Department to work in the radio room as an assistant to Vincent Doyle. Doyle became suspicious of the former hero and began to question him about his experiences on the Morro Castle. He became convinced that Rodgers was responsible for the fire, and perhaps Rodgers thought he was getting too close to truth, because in March 1938, he delivered a package to Doyle that contained a heater for a fish tank and a request for Doyle to repair it. 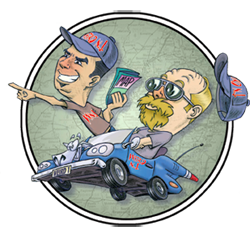 This was not unusual since friends often dropped off electrical items to repair. However, this item bore no signature. When Doyle plugged the heater in and turned on the switch, the explosion was instantaneous. He survived but sustained numerous injuries; Rodgers was arrested a few weeks after and later convicted of the attempted murder of his colleague. 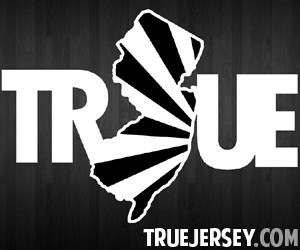 Though sentenced to twelve to twenty years in Trenton State Prison, Rodgers never served his full sentence. In 1942 he was released from prison on parole to “join the armed forces.” The Navy, however, rejected his application because of his criminal record. After a mysterious trip to Australia he returned to Bayonne in 1945 and opened another radio repair shop, but he was struggling financially again by 1952. A friend named William Hummel loaned him $7,500 in less than a year. Hummel decided to move to Florida in June 1953 and began to pressure Rodgers to repay the loans; a month later the police found Hummel’s body and that of his unmarried daughter savagely bludgeoned to death in their Bayonne home. Suspicion immediately fell on Rodgers, and in 1954 he was found guilty of two counts of murder and sentenced to life imprisonment. Four years later he would die of a brain hemorrhage. Did George White Rodgers murder Captain Robert Wilmott and set fire to the Morro Castle to hide the crime? Or was he just guilty of arson, with the death of the captain an unfortunate coincidence? Although circumstantial evidence strongly suggests his guilt, and Rogers even hinted to some that he did it, he never confessed to either crime and it’s doubtful that it can ever be proven. From a story by Michael Launay. This entry was posted in Mystery History and tagged Asbury Park, George White Rogers, Morro Castle, Radio Operator, Ship Wrecks. Bookmark the permalink.